When the designer Ole Palsby died in 2010, his son Mikkel Palsby decided to take over the studio, and took on responsibility for his father's design legacy. A number of projects were on hold, still to be taken through to commercial production, including a thermos jug designed in 2007. That jug, or termoskande, is now being manufactured for the Coop group in Denmark under their Enkel label and was shown by Ole Palsby Design at the design fair northmodern in August. The shape is simple and beautiful and the jugs have a soft matt finish for the outer surface and, for obvious practical reasons, a high-gloss finish to the inner rim and pouring lip. If talking about a plastic jug as beautiful sounds slightly excessive - the exaggeration of a design obsessive - surely the proportions are almost perfect and the profile incredibly elegant. As with all kitchen-ware designed by Ole Palsby, the jug fits perfectly in the hand; it is well balanced and there are carefully thought-through details like a slight depression for the thumb at the top of the handle which makes perfect sense in terms of ergonomics … the jug can be held securely and can be tilted at the right angle to pour out the contents steadily and safely ... in other words it functions without the user actually having to think or analyse why or how. Mikkel Palsby kindly agreed to be the 'hand model' for photographs to show how the jug pours perfectly. Designed by Sigvard Oscar Fredrik Bernadotte (1907-2002) - son of King Gustav VI of Sweden - an industrial designer who founded Bernadotte & Bjørn Industry Design (B&B) in Copenhagen in 1950. At the time of his death in 2010, the Danish designer Ole Palsby was working on a range of cutlery with the Japanese master craftsman Kazonsuke Ohizumi whose workshop is in Niigata. Mikkel and Caroline Palsby discovered the working drawings by their father not only for that cutlery but also for other proposed designs along with trial pieces including a kitchen knife made by the Japanese workshop that had been used in the family home for over a decade but had not been put into production. The family decided to form a new design studio to continue both the work of their father and the well-established working relationship with the craftsmen in Japan. ICHI, the Japanese word for first, is the new cutlery range that is now in production and is available in two finishes - matte steel and a titanium finish. An initial trial piece had been given a polished finish for the handle but the Palsby’s, after some deliberation, felt that an overall matte finish would be more appropriate now. The dark grey-black finish of the titanium cutlery not only brings a new aesthetic to table settings but provides an important alternatives for people who have an allergic reaction to steel. Ole Palsby came to design in his 30s after an early career in banking. He had friends and close contacts in the world of design and architecture, including Poul Kjærholm and Vilhelm Wolhert, and developed an interest in Japanese design and architecture. Initially, he opened a kitchenware store in Copenhagen and then moved on to design tableware and metal and glass cookware for companies including Eva Solo, Alfi and WMF. His approach to any design project was to go back to first principles not just to simplify a design - he talked about purity in design - but he analysed, as an engineer might, the human actions involved. Working with the craftsmen in Japan the result is flatware that has features that, from a European viewpoint, looks novel or at least distinct. Bowls of spoons are wide and shallow, the angle of the relationship between the bowl and the stem has been rethought, and knife blades have a distinct deep bowed shape to cut sharply without crushing. The balance of kitchen knives also feels different … the result of rethinking not just the shape but also by working and reworking the details of each piece with the Japanese masters. This was not to produce Japanese cutlery but rather to rethink pieces that have a specific use in Denmark … so one knife is flexible and shaped for spreading but also has a sharp cutting edge to its blade so that when making a Danish open sandwich swapping knives is not necessary and on the forks the central two tines are just slightly longer so they make an initial break into the surface so the fork cuts into the food rather than crushing it - particularly useful for eating Danish cakes. The same tight focus on details can be seen in the kitchen knives ... the honed and sharpened edge returns back towards the handle at the base of the blade for deftly making a nick to initiate any cut. Last May a new show room for Ole Palsby Design was opened in Copenhagen in Ravnsborg Tværgade, a street that runs back from the lakes, on the outer side of Sortedams Sø, close to Dronning Louises Bro. Here, along with the new cutlery, there is also on display earlier tableware and kitchenware designed by Palsby over his long and productive career. There are plans to put some of these designs back into production or to realise some of the ideas and preliminary designs from the archive. As with By Lassen in Copenhagen, Mikkel and Caroline Palsby have shown that it is possible for families to find a way of taking forward the legacy of a major designer’s work by making classic pieces a starting point for new designs. Cecilie Manz graduated from the School of Design at the Royal Danish Academy of Fine Arts in 1997 and, after a period of study at the University of Art and Design in Helsinki, she returned to Copenhagen where she has established her own studio. Designing furniture, lighting and household products, she has worked with many of the major Nordic design companies and manufacturers including B&O, Fredericia, Fritz Hansen, Holmegaard, Kähler Keramik and Muuto. The Aitio shelving range was designed for the Finnish company Iittalia and has been in production since 2014. There are three designs in metal - a square box, a double-width box and a shallow wide shelf - all with the same form with a base plate with the edges turned up and, wrapped around that, shaped metal forming, in a single piece, the back and sides folded round to the front to almost meet at the centre. The proportions; the silhouette of the stepped down sides and the quarter-round profile of the folded corners and the cut-out of the base piece are all very carefully thought through. In less-skilled hands the end result could have been clumsy or crude but actually the designs have real finesse and illustrate very clearly the difference between a design that is basic or functional and a design that is carefully refined … minimalism is not a starting point for a design but an end point, so as here, might perhaps be better described as reductionism with the designer seeing how much to take away, how much to simplify and knowing exactly when to stop. A robust metal bar is fixed to the wall and has notched lugs over which the shelf drops … the shelf having simple holes drilled in the back … and two dimples, towards the bottom edge of the back, keep the unit vertical over the back plate. These boxes can also be used on a work top or on a desk without being suspended from the wall. There are three colours - a white that is not brilliant white but almost stone or cement, a gun-metal grey and a mustard - and all in a matt finish. There is a fourth option with a wooden shelf that is supported on metal end brackets that echo the form and the profile of the other shelves. Careful attention has been given by Iittala to the design of the packaging - both for the way the cardboard box protects the item during shipping and storage while in stock but also for distinct graphics and typography. northmodern provides an opportunity to see, together in one place, the huge range of furniture, lighting, tableware, kitchenware and so on that is currently produced in Denmark … the works of individual designers, the products of Danish workshops and manufacturers and the current catalogues of major design stores. Some new young designers, like Overgaard and Dyrman and Makers With Agendas, have been discussed in other posts, so those reviews are not repeated here and obviously some major companies were not showing at northmodern this year, so, this is a personal selection of outstanding Danish design from established designers or well established companies that was shown at northmodern in August 2015 and exemplify why the Danish design industry is so strong. Caroline and Mikkel Palsby have established their company to produce and market designs by their father but have also launched appropriate new ranges, focusing on tableware and kitchen knives, including the cutlery range ICHI. In the early summer they opened a new studio and shop on the outer side of the lakes in Copenhagen, in Ravnsborg Tværgade, and there will be a longer profile of their studio and work on this site next month. 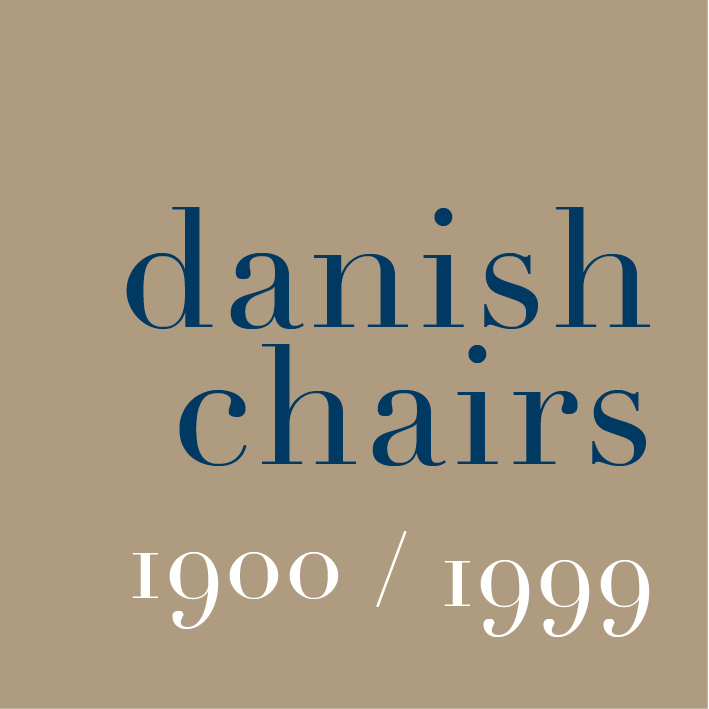 This is the very best of design where quality and attention to every detail is paramount and these standards are being taken forward to build on an important part of Denmark’s design heritage. The furniture company Hansen & Sorensen was established by Ivan Hansen and Henrik Sørensen in 1990. They changed the name of the company to OneCollection in 2007. 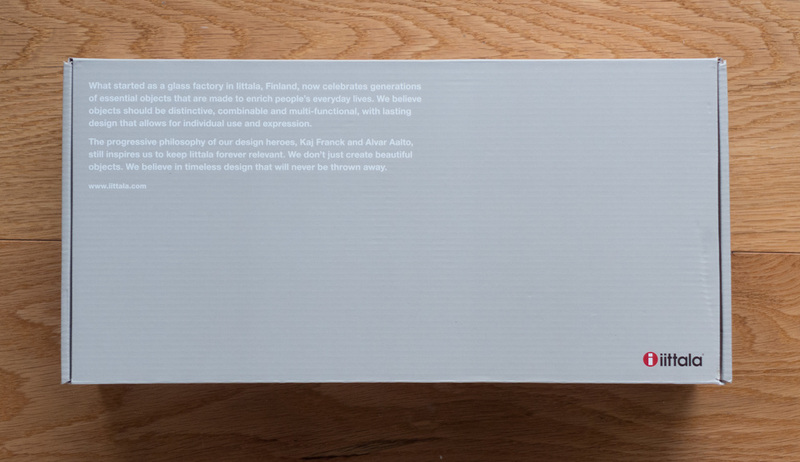 This explains, in part, their focus on Danish design history. Early pieces produced for the company were designed by Søren Holst and Henrik Tengler but in 1998 they were approached by the widow of Finn Juhl to make one of the Juhl sofas - the Model 57 - and this led them to explore and study Juhl’s archive of designs. They relaunched the Poeten sofa and then the Pelican Chair that originally had only been released in a very small run. 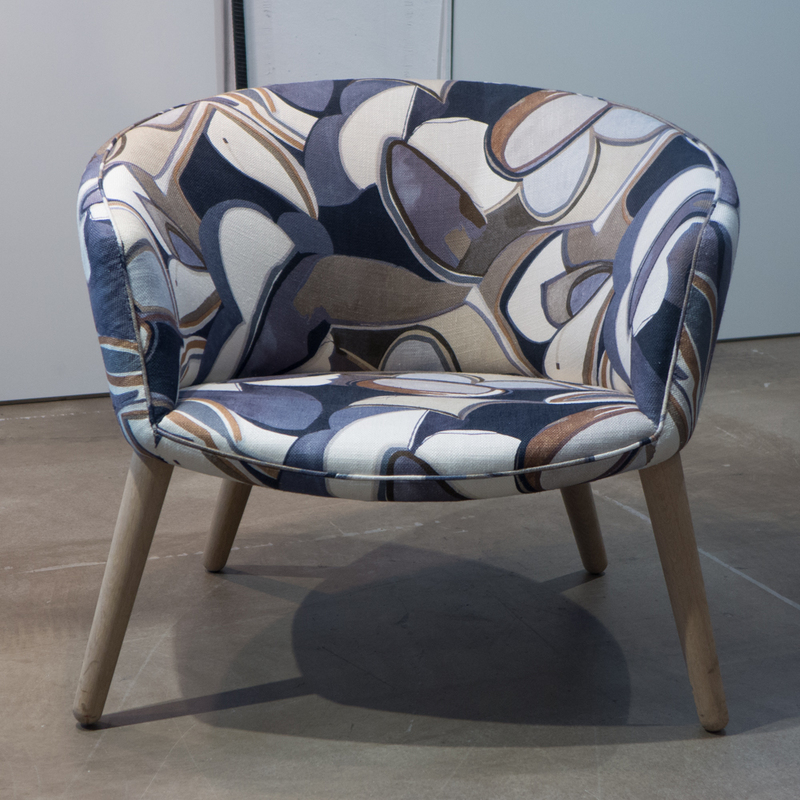 OneCollection now holds the rights to all designs by Finn Juhl. 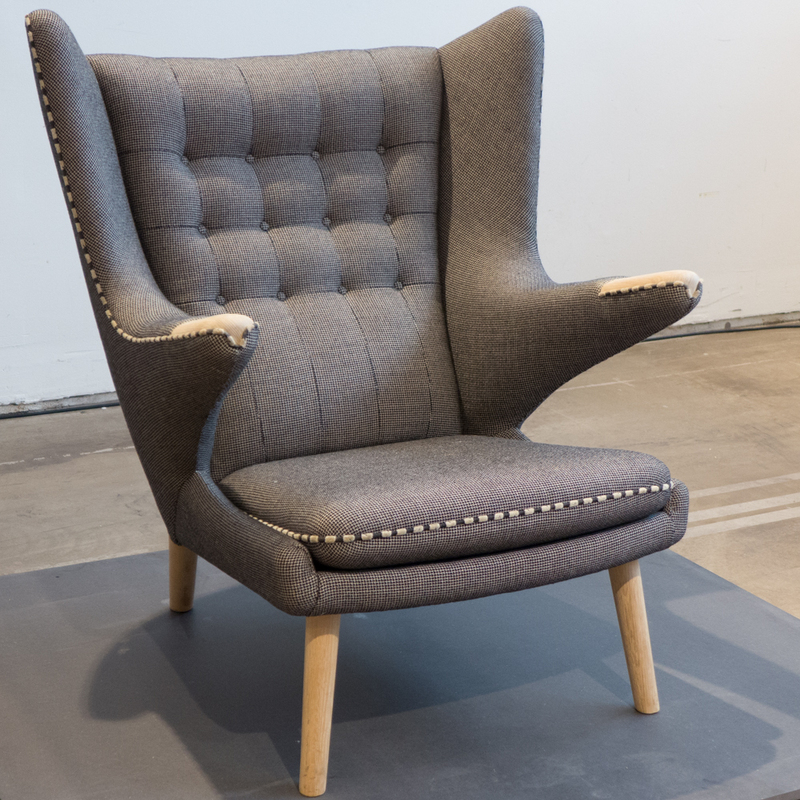 At northmodern they showed the special anniversary edition of the Pelican Chair and on their main stand the Nyhavn Dining Table designed by Juhl about 1950, with his award-winning Reading Chair from 1953 and a 53 Sofa. A curious characteristic of this furniture is that if you know it only from photographs, then the impression is that it is quite large - the Pelican Chair looks almost monumental whereas in fact it is relatively compact - and by setting the furniture within a room-sized space at northmodern, defined and contained by bookcases on what would have been open sides of the stand, it showed how well the furniture would work, even in a relatively small apartment. The family-owned joinery workshop was established in 1953 and has focused on craftsmanship and developed and deliberately sustained their understanding and real appreciation of the qualities and characteristics of the timber they use to make their furniture. They continue to produce classic designs by Hans Wegner … pieces that are so well known that, exhibited at northmodern, they needed no labels. Upholstery and some colours or the choice of specific woods have been updated if appropriate but the construction and, more important, the quality of workmanship maintains the standards set for the original pieces. PP Møbler do produce works by contemporary designers with furniture by Thomas Alken, Søren Ulrik Petersen and Jørgen Hoj and again it is the quality of construction, the quality of the timber used and the standard of the craftsmanship and finish that are paramount. In the main central gallery at northmodern there was a stark and revealing exhibition, also by PP Møbler, with a line of their framed chairs designed by Wegner that visitors to the fair could try but with, in addition, a cut-through section of the back rest with a profile of the human spine to show exactly why these chairs provide support and are so comfortable. Wegner’s criteria, when judging any chair, was that not only should it look good when viewed from any angle but that it had to be comfortable - not just in the five minutes after someone sat down but as they twisted and moved around as they ate sitting at a dining table or as they sat over a long period as they worked at a desk. The very best designs combine aesthetic appeal with quality of production and, ultimately, with practical utility: it is not enough that a piece of furniture or an item of tableware should look good but it should be well made, the design and the method of manufacture should, at the very least, be appropriate to the material but should, if possible, exploit and enhance the natural qualities of the material and the piece should do what it was designed to do and do that well. Simple to say ... not so easy to realise. Reform was set up in 2014 by Michael Andersen, an engineer who was formerly employed at Bjarke Ingels’s architectural firm BIG, and Jeppe Christensen who comes from an education in marketing and economics but also has a background in carpentry and design. They identified a need for well designed kitchens and a reasonable price point and came up with the idea to use the base or carcase of the IKEA kitchen range but to add customised work tops and drawer and cupboard fronts … customers plan the kitchen they want and order the cabinets from their local IKEA store and the fronts and tops from Reform. They designed their first Reform make-over kit that they have called Basis (above) with clean, straightforward lines in white with either slot-shaped or round holes for drawer pulls and a very clean, sharp-looking dark green top but the really clever move was to also commission further designs from major Danish architectural firms including BIG, Henning Larsen Architects and Norm Architects and further designs are on the way. The kitchen from BIG has a slim dark composite top or that can be in plain steel and there is a choice of white or oak for cupboards and drawer fronts with simple but striking handles formed with a loop of black webbing used for car seat belts. From Henning Larsen Architects the design comes with oak veneer for the top and ends and fronts with either oak and a band of copper or white with a band of steel. A fiber concrete top for the design from Norm Architects can be combined with either a bronze-like front called Tombac or with sawn oak or a very dark smoked oak that brings out the grain of the wood. As with other work from Norm, the design appears at first to be very sharp and industrial but it is designed to soften and wear in with use. The concrete top shown at northmodern had an integral concrete sink … great style. DANSKmadeforrooms is in the rapidly changing Vesterbro area of Copenhagen. In fact it is now two shops a few doors apart. The main shop has furniture, art, books and magazines and lamps while the second shop has kitchenware and glass and table ceramics. This is a very different Danish taste … still clean and well designed pieces but thinner, more industrial in inspiration but elegant … much of the furniture is metal … it’s sort of stripped back but almost delicate. Certainly very very refined. You get a very strong idea of the aesthetic and the sense of style that drives the shop by just looking at their web site. This is the style and aesthetic also found in furniture from the Copenhagen company Frama so it is not surprising that Dansk sell their stools. This is certainly Danish design but not within the tradition of the cabinetmakers serving comfortable middle-class Copenhagen families. What is also interesting and unusual for Copenhagen is that many of the pieces are not Danish although without any doubt they have been chosen carefully because they still respect an essentially Classic Danish taste. It is the idea of trying different directions with design here so things do not become complacent. This brings in ideas from other designers and from other countries and says heh … what about this? … what if we give these a Danish twist? The kitchen shop has concrete floors and industrial shelving to display a good, unusual and very interesting selection of items including storage containers in thin industrial glass, enamelled cookware and storage containers, cutlery and very elegant serving spoons and forks. Some of the pieces are from Japan but then you realise that these don’t stand out immediately so you can see here an interesting exchange of ideas between Japanese and Scandinavian designers … a sense of overlapping taste and a two-way exchange of ideas for the way natural materials can be used and about the way appropriate forms evolve. In very general terms, the designer understanding the materials they are working with and understanding the strengths and the limitations of the production methods and using and exploiting that knowledge to realise their design can be seen as the technical part of the design process. Unfortunately, technology is often, but not always, seen as the opposite of crafting by hand. In reality, of course, ceramics, with the use of glazes and kilns for firing, and the making of glass and of course looms for weaving, lathes for turning wood, machines for cutting veneer and so on are all examples where the technology that enables mass production has been established for centuries and also exist at both a craft level and on an industrial scale. This forms obvious and important links between the making of one-off pieces and multiple commercial production. So the design and commercial manufacture of items may involve aspects of these older and well-established technologies along with the latest technologies including of course CAD but also the development of new materials, new developments such as LED lighting and new techniques of production such as the potential use of 3D printing. What I am trying to say, in a slightly awkward and stilted way, is that craftsmen, producing one-off, high-quality pieces can and do use and exploit rapidly changing technologies on their own terms and designers, producing designs on a commercial scale, can and should take from the best craftsmen, their understanding of craft skills and, from the very best craftsmen, their quality control. For me, there were three exhibitors at northmodern whose work showed exceptional understanding and exceptional use of technology and in slightly different ways. I would go as far as to say that these products are technically brilliant … and that is meant in both ways that the word brilliant is used in English: brilliant in the sense of highly intelligent but also as a superlative. Mikkel and Caroline Palsby established Ole Palsby Design to continue to produce work designed by their father who died in 2010. Just released, the first products are a range of cutlery with two finishes, ICHE Matte, a plain steel cutlery with a matte finish and ICHE Titanium with a coating to the steel that gives the cutlery an amazing dark grey lustre. For each finish there are three sizes of knife, four sizes of fork, including a pastry fork, and eight sizes and shapes of spoon including spoons for dinner, lunch, and for soup, a child’s or dessert spoon, a long spoon, pastry spoon, teaspoon and espresso spoon. The design was finished by Ole Palsby shortly before his death and the first prototype was made by the Japanese craftsman Kazonosuke Ohizumi. The reasons for this collaboration are clear. Japan has a well established craft and industrial tradition for making steel blades for kitchen knives and weapons that goes back over a thousand years and modern Japanese craftsmen have almost unmatched expertise in forging steel and resolving technical issues with the flexibility of the piece, the finish and the cutting edge. So Ole Palsby Designs are using well-established experience and and highly developed specialist skills in the design and manufacturing process to produce cutlery of the highest quality. As with his designs for the Eva Trio range of saucepans, here with the cutlery, Ole Palsby did not choose shapes or forms with the simple intention of being novel for novelties sake but he analyses the way cooking pans and, in this case, cutlery are made and how the items are used … whereas some designers want to develop and take forward current forms my feeling is that Palsby himself was more curious to backtrack down a route of development and think about what might have evolved as the accepted and normal if slightly different decisions had been made at each point of the evolution of a shape or form or method of construction or manufacture. Here, with the cutlery, you can see that the balance of the pieces has been changed and the modifications are particularly clear in the angle of the bowl of the spoons which is different and the forks are shorter than in many designs and have a bowl shape rather than having long thin closely-spaced tines … so they can be used for holding food in place on the plate while it is cut or used for scooping up food but not for impaling food. Oscar Peet and Sophie Mensen of the studio OS△OOS in Eindhoven are graduates of the Design Academy in Eindhoven. Their Mono light uses thin elegant LED tube lights with a sleeve that can be twisted round to shield or direct the light. Light tubes are linked by section of soft grey tube - soft in colour but also soft in feel and flexibility so that they bend to form a relatively tight arc. The light tubes are of three different lengths and a line of light tubes is fixed to the power source at one end but can be set at different angles and moved from a horizontal to a vertical alignment and anchored at the free end by using either simple round brackets fixed to the wall or the end of the tube can be dropped into a heavy marble ring that is set down on the floor and acts as an anchor. The lighting can be swung into a new configuration if it is wanted in a different part of the room or moved to change the level and mood of the lighting in the space. Eindhoven, an industrial city in the south of the Netherlands, is the headquarters of Philips and therefore has attracted a number of specialists - experts and independent technology companies - focusing on the development of glass including companies such as FEI who are specialists in optics. Design is also very important in the city - it hosts the Dutch Design Week and according to Wikipedia, in 2003 Time Magazine called the Design Academy Eindhoven “The School of Cool” although I can't decide if the students from the academy should see that as a great accolade or now rather ... well ... uncool. The important point is, however, that the city has a major international manufacturer and a major school of design and has attracted technical expertise and designers to their mutual benefit. A longer review/assessment of the wire and leather chair from Jasper Overgaard and Christian Dyrman will be published on this site in the next week or so but here what I want to emphasise is that the design combines a very very high quality of finish with a very clear command of the technical aspects of production. The upholstery in leather combines saddle leather on the outer side - to maintain the shape - and traditional upholstery leather for comfort on the side of the cushions that you sit on or lean against. That sounds simple but involves considerable skill in production … and meant understanding and mastering difficult traditional craft skills of the saddle maker. The chair would not be anywhere near as good if this quality of work was compromised. We tend to associate the words technical and technology with the here, now and current but that is doing a grave dis-service to the amazing technical skills we have inherited such as leather processing, saddle making or metal working and of course technical knowledge in such industries as weaving, glass making and ceramics. The complex overall 3D shape of this chair is created with wires bent in 2D so not only the shape but the overall quality of the finished piece depends on how precisely these are made working from computer generated templates as each piece is different. And, of course, what is crucial is how accurately these pieces are joined together to form the basket shape. Again any compromise in technical quality would not only be obvious but would undermine the credibility and the integrity of the product. At this level of design and production Overgaard and Dryman are selling un-compromised quality combined with technical excellence. I‘ve used Eva Trio pans for about 15 years, bought at different times from either Illums Bolighus in Copenhagen or from an amazing kitchenware shop in Long Melford in Suffolk that looked like an old Edwardian ironmongers and was piled high with everything any cook could possibly want - even if they didn’t actually know that they needed it until they walked in and saw it. They sold cookware sourced from all over Europe and beyond - a sort of small, more human and more densely packed English cousin of Williams Sonoma. Recently I decided I needed another saucepan lid. Not because you can never have enough lids but because somehow I have never got around to buying the right lid for the steamer insert and I’ve got tired of using the frying pan balanced on the top because that was the only thing I have that is the right size. It means the steamer is really only used as a drainer. Here it might help to explain that Eva Trio saucepans and lids are sold separately so that anyone sensible should be able to work out how many lids they really need - how often is every pan on the stove covered at the same time? - and you can chose either a plain flat stainless-steel lid or a glass lid for those jobs where you need to seal in the steam but also need to keep an eye on what is happening. Anyway (I digress again) …. as there was no trip to Copenhagen planned and the Suffolk shop seems, unfortunately, to have stopped trading I traipsed around London in what turned out to be a fruitless search. At one of the largest cookware shops, getting more and more tired and frustrated, I actually asked someone why they did not stock Eva Trio pans. Apparently, I was told, “there is little demand”. I always think that this is an odd excuse and, of course, self fulfilling .… how can you sell many of anything if you don’t stock it? English families, I was informed, fall into one of three types …. most buy sets of cheap pans from a department store; some go for expensive pans if they are endorsed by a TV chef or, for real food snobs, the very heaviest and most expensive French pans are the “must-haves.” This was not only a very large kitchenware shop but also a very expensive kitchenware shop so you can probably guess which sort of pan for which sort of customer they stocked. Not stocking Eva Trio saucepans is a pity because they are practical, sensible, simple and easy to store and easy to maintain and, above all, again being practical, there are a number of options in terms of finish and material: the different sizes and shapes come in stainless steel or in copper, with an aluminium core, or as white ceramic-coated pans or there is the matt-black anodised Dura line. This is not something to do with customers not being able to make up their minds and buying one of each but so that they can chose pans that are the appropriate material for the way they cook - saucepans that are related in terms of design but different in terms of heating characteristics - with copper using a lower slower heat through the base and steel pans with an aluminium core distributing a quick even heat in a different way. Oh yes … and they look good. As far as I can see, the only place where they fall short is if you are one of those people who like to multitask because these pans are too light to build biceps as you toss crepes. Eva Trio saucepans were designed by Ole Palsby and have been in production since 1977 but their simple minimalist design means that, unless you know the design history, it would be very difficult to date them. This really is timeless design. Palsby was self taught, starting his working life in business, of the accountant sort, before turning his skills to product design when he was in his early thirties. As well as other kitchenwares for Eva he designed glassware for Rosendahl; a famous spherical vacuum jug for the German company Alfi and a very simple and very beautiful glass carafe with a silver stopper for Georg Jensen. I stumbled slightly over the choice of the word unsentimental as I read the comment but then realised that actually it is a very good use of the word. Many products for kitchens seem to take their starting point from kitchenwares of a hundred or even two hundred years ago. Nostalgia or a sense of design evolution is great but it is sentimental …. presumably a fancy wrought-iron trivet, for instance, is meant to make you feel not only comforted and reassured but that you are the new Auguste Escoffier or the new Mrs Beeton. Palsby went back to basics when he designed the range of saucepans for Eva .… he took a step back and started again .… looking not only at specific functions and at aspects of production but he rethought practical things like the form of the thicker base and how it works visually and practically with the thinner metal of the vertical sides - he gave the base plate a neat bevel - and he thought carefully about how the lids would be used and how the pans and lids could be stored. The handles are metal rather than plastic so, if you really want, any combination of pan and lid can go into the oven. The handles of casserole and roasting trays are simple metal loops. The saucepan handles are long, made with steel rods bent to an elegant extended U shape with the two ends bent downwards and riveted firmly to the vertical sides of the pan. The handles are long enough to not only keep cool enough to hold but long enough to keep your fingers well away from the hot sides of the pan and away from the flames of a gas hob. Too many saucepans seem to have handles that are too short. The saucepans have vertical sides with a simple small flange at the top to take the lid and lids and pans seal well keeping in not only steam but flavour because you can use less water when boiling. There are relatively standard-looking saucepans in the range but also much taller versions for pasta or for larger quantities and much shallower pans that are great for smaller quantities or to sauté. Many other saucepan sets do a three bears trick with the same design just scaled up or scaled down, except for lid knops which are kept the same size and usually look ridiculous on small pans: the Eva Trio pans come in a more limited range of diameters but a greater range of heights which seems much more sensible and elegant. The lids themselves are flat and have the same long looped handle but in a thinner gauge of steel rod and they can be stacked in what looks like a toast rack or they can be hung neatly from a line of butcher’s hooks above the stove. On the glass lids there are the same handles and a steel rim that has the same profile or lip as the solid lids but the oven-proof glass is held in by a circular loop of steel rod matching the handle. Because the steel lids are flat and don’t have a central knop, you can stack a pan on top of another pan that is cooking on the hob to keep the contents of the upper one warm but not cooking which is particularly useful if you get your timing wrong or even better as a way of freeing up a hot plate when you suddenly get to that point in the recipe where it says something like “then warm the sauce slowly” and you realise that every hot plate is already in use. If you are a sensible and experienced cook then you probably do a quick double-check of the ingredients list when you start, just as a matter of routine, but when did you ever see a recipe that had a symbol for how many hob plates you will have on the go and how many ladles and stirring spoons you are going to get through? …. just in case you have read an earlier post, I also have an Iittala roasting pan and a stainless-steel Iittala casserole which are much heavier .… not because I want to work on my biceps but because, when I bake or roast or casserole food, I tend to follow recipes where the pan starts on the hob, sealing meat or softening onions or whatever, but is then moved to the oven for a long slow cook at a lowish temperature. You can do that with the Eva Trio pans as well but the Iittala pan seems to me to be more like a ceramic casserole or rather, the best of both Worlds, like a ceramic casserole but one you can use on the hot plate. Maybe that says more about me than about the pans! Recently, on a trip to London, I found a selection of Eva Trio cookware at the David Mellor shop on Sloane Square.